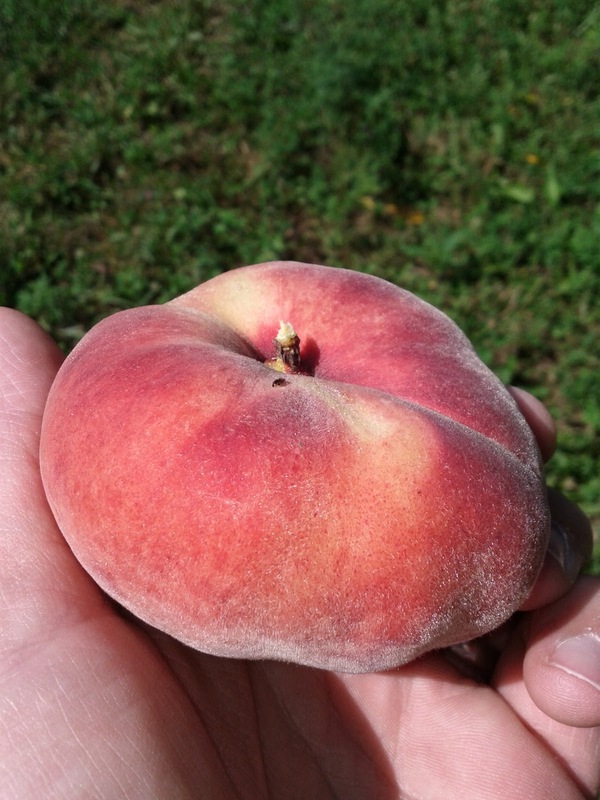 They're called Donut Peaches or Saturn Peaches. They (apparently) came from China more than 100 years ago and gained some popularity in the 1990's. I don't remember ever hearing about them, but seeing them on the tree, they're kind of a novelty. Seems like it would be a fun tree to grow in the yard - especially because they're described as 'frost hardy'.